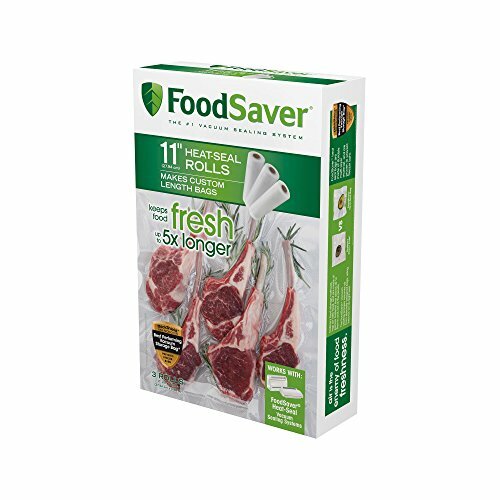 FoodSaver 1-Pint Pre-Cut Vacuum Seal Bags offer plenty of room for storing small items or individual portions of food. Store anything from fresh fruits and vegetables in the fridge to cuts of meat or fish in the freezer - even cookies, crackers, and other snacks and dry goods in the pantry. Constructed of BPA-free multi-ply material that blocks moisture and oxygen, these bags protect their contents from freezer burn and spoilage up to 5x longer than non-vacuum storage methods. And because sealed bags are airtight and durable, they prevent floating during the sous vide water bath for consistent and delicious cooking results. PRESERVE FOOD LONGER - Store fresh or frozen food 2-3 times longer in our commercial-grade bags to reduce waste. Stop buying ingredients you already own, so you spend less at the grocery store. Keep track of what you are storing by writing on our bags with the included marker. CREATE HEALTHY PORTIONS - Prepare meals in advance for busy weeknights or ensure you don't overeat that snack mix. Pack up and freeze your leftovers instead of letting them go bad in your refrigerator. Portion out nuts, cheese, meat, candy, pasta...anything you want to have a little more control over. 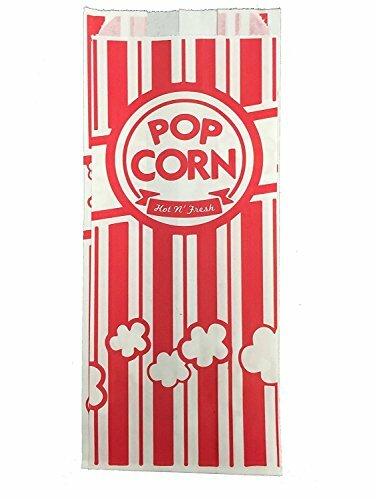 STAY SAFE - These vacuum food bags are made of the highest-quality 7-layer material. They are non-toxic, with no BPA, Phthalates, or any harmful or allergenic substances. REDUCE EXPENSES - Our vacuum seal bags save over identical brand name bags. Double the value of your hard earned dollar. NOT JUST FOR FOOD - Use in a variety of ways: FoodVacBags are perfect for cabinet, fridge or freezer storage, in addition to boiling, sous vide cooking, and more. They are also microwavable and dishwasher safe, so you can reuse them. They protect everything from the harmful effects of moisture and oxygen - coins, comic books, jewelry, documents...even photos. 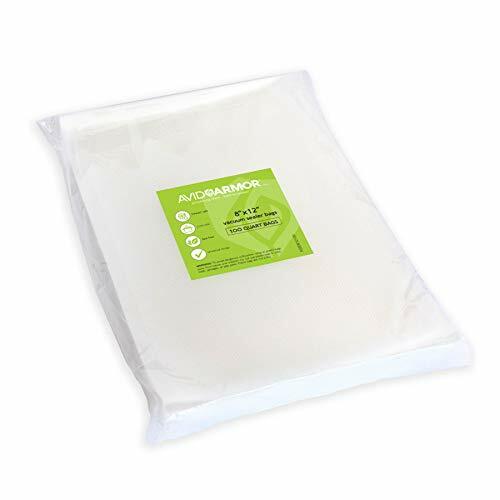 FoodVacBags block moisture and air, while maintaining the freshness, flavor and nutritional value of all of your foods! You've already decided to save money by preserving your food, now save on the tool you need to do it. FoodVacBags 4 mil Vacuum Sealer Bags work on all vacuum sealer machines. The 50' rolls offer an incredible value, saving you 60% or more over other name brands. The embossed pattern draws out air quickly, saving wear and tear on your machine. 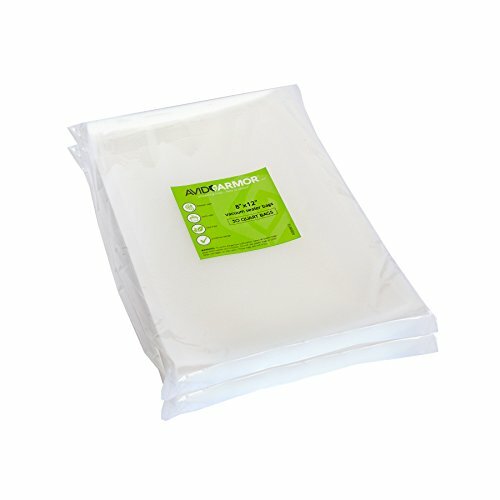 100 VACUUM STORAGE BAGS - Premium alternative to Foodsaver and other brand name vacum seal bags. WORKS with all clamp type vacuum sealers. food sealer machines. food sealer bags. sealing rolls. Popular Food vacuum sealer bag sizes: Pint, Quart, Quart PLUS and Gallon for unlimited packaging. PROFESSIONAL QUALITY - 3 mil top panel, 4 mil embossed back. Eliminate air, increase life of foods! 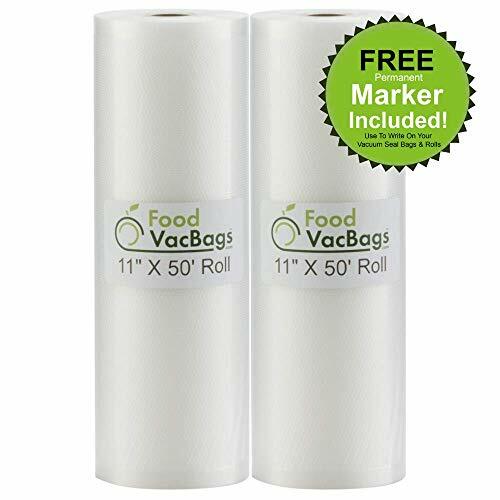 Made from the same material as FoodSaver vacuum seal bags, the FoodSaver 11" x 16' Vacuum Seal Roll lets you create custom-length bags so you can store anything from everyday items to leftovers. Constructed of BPA-free multi-ply material that blocks moisture and oxygen, these rolls protect their contents from freezer burn and spoilage up to 5 times longer than nonvacuum storage methods. 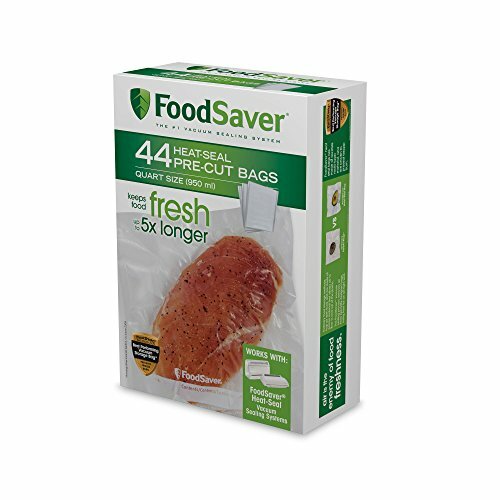 FoodSaver 1-Quart BPA-Free Multilayer Construction Vacuum Seal Bags are precut and ready to use, saving you time whenever you re preserving everyday foods, portioning bulk items in the freezer, or cooking sous vide. Constructed of BPA-free multi-ply material that blocks moisture and oxygen, these bags protect their contents from freezer burn and spoilage up to 5 times longer than nonvacuum storage methods. OVER 3x LONGER than the leading brand rolls. 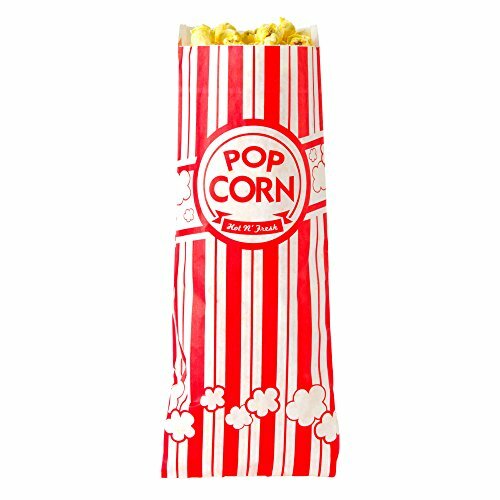 50 ft. bag rolls... That's just a few cents per bag. Make your bags the exact length YOU need; no wasted material. Less spoilt food, less waste... MORE $$$ IN YOUR POCKET. The durable 4Mil-layer material is air and watertight! High density micro-channels make the bags SUPER flexible to provide a super-tight fit... LIKE AN ARMOR FOR FOOD. Nutri-Lock bags are BPA free! 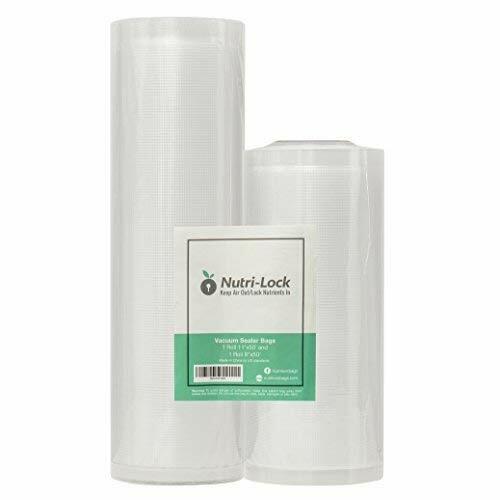 Nutri-Lock bags are made to US standards on an FDA approved site. Perfect for SOUS VIDE cooking. Designed in Australia for healthy lifestyles, healthy bodies and healthy food. Help keep super foods, super! Avoid freezer burn; keep steak looking and tasting juicy! Helps slow down food spoilage; no more soggy, gritty, wilting fruit and vegetables. 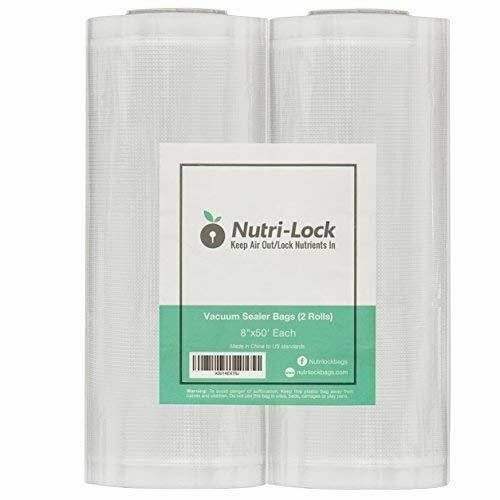 GREAT FOR MARINADING; Lock your meat in a Nutri-Lock bag to speed up the marinade process. 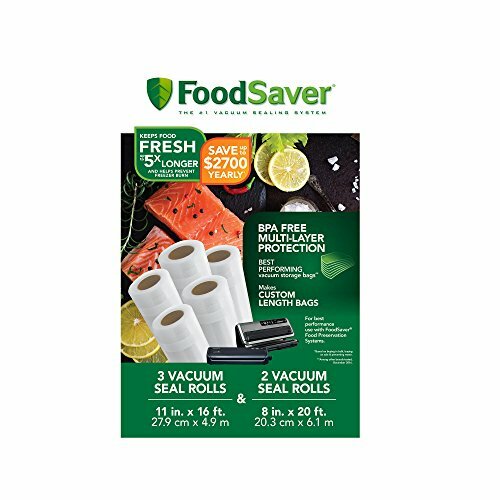 VALUE $$$$ - Over 3x Longer than FoodSaver Bags! Just a Few Cents per Sealer Bag! 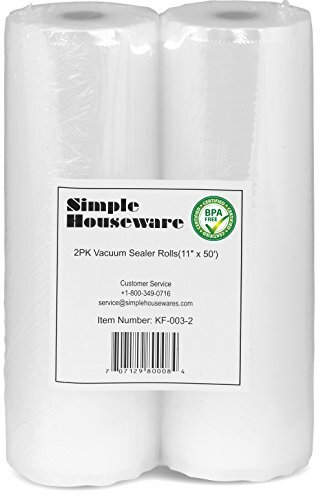 2x Vacuum Sealer Rolls; 11"x50' and 8"x50' Size Bag Rolls. FITS ALL CLAMP STYLE VACUUM SEALER APPLIANCES - Works with FoodSaver, Seal-a-meal, Nesco, Weston and Others. KEEPS FOOD FRESH AND RICH IN NUTRIENTS FOR LONGER - Incredibly Flexible, Providing an Air-Tight Fit and Keeping Food Fresh for Longer. Perfect for Sous Vide Cooking & Freezer Storage. RETAINS FLAVOR LONGER - No More Soggy, Gritty, Wilting Fruit and Vegetables. Keep Steaks Juicy and Flavorful. BPA Free, 4 Mil, DURABLE, FDA APPROVED FACTORY - Developed in Australia for Healthy Minds, Bodies and a Healthy Lifestyle. 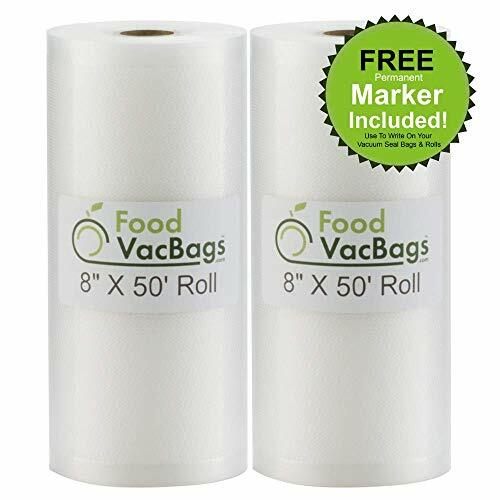 GREAT VALUE: Half of the money to buy 4 pack of 11 inches x 25 feet food saver bags rolls, total 100 feet. No pre-cut design, creating your own length of bag. Less food wasted, much money saved. BETTER DEAL!!! HEAVY DUTY & STABLE: Two layers 4 mil heavy-duty bags with embossed air-removal channel which are stable for heat and cold, boilable, freezable, microwave and dishwasher machines. Perfect for Sous Vide cooking. Blocking oxygen and moisture and eliminating freezer burn and dehydration to keep your food fresher, juicy and flavorful. SAFETY MATERIAL: BPA Free, durable, FDA approved, quality material. Simmer and Microwave Safe. Protect your and your family's health. ONE FOR ALL: Compatible with all big name sealer brands such as Food Saver, Seal-a-meal, Nesco, Weston, and others. 100% CUSTOMER SATISFYING GUARENTEE: If for any reason, you are not Satisfied - Please let us know why and we will fix it and we'll give you a replacement or full refund. please give us an opportunity to make it right for you. The desktop machine will be able to produce adequate heat to effectively melt the plastic material on the bag for optimum sealing. 1. Level 3 is enough for most applications. 2. The red light is not predictable when plug into the power. It is only predictable when keep the handle pressed down on bottom. This is a protection for sealer or it will burn out after several uses. 3. When seal is done, the red light will go off. Keep the handle pressed down for a few seconds to get optimal results. 4. Keep the sealer's surface clean to avoid the oxidation of the residue which will reduce the life of the heat sealing strip. 5. Do not use wet cloth to clean the surface of heat sealing strip. Manual Impulse Sealer Specifications: Size:8 inch(FS-200),2mm sealing width, CE certification passed. Upgrade thicken iron case.Comes with 2 replacement kits. Instantly use: No warm up time needed. Adjustable timer creates perfect seals for varying bag thicknesses.Max seal thickness:10 mils. 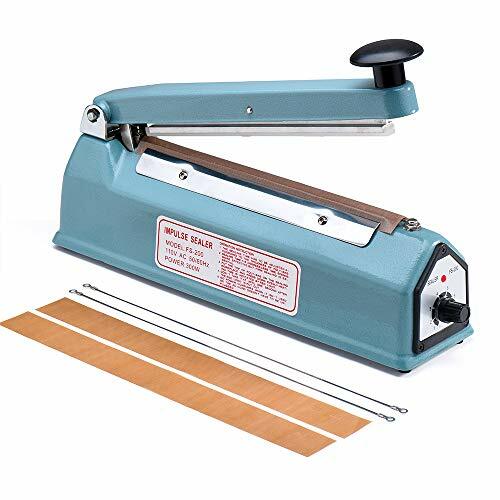 Extra Durable Impulse Sealer Machine: Upgrade Pure copper transformer make sure this tabletop heat implse sealer working life is double longer than normal sealing machine. Energy Conservation Manual Impulse Sealer Non-Toxic, Odorless, Durable, Reinforced and Compression could seal more than 10000 bags. Widely Use This item is perfect seals for Kel-F, Mylar, Polyflex, P.V.A.,Pliofilm, Tivac, Saran and all other heat sealable material bags.Built-in fuse for safe using, ideal for household, retail, produce, grocery Stores, and industrial sealing. ance with the German export standards, with a certain quality superiority. -Angle adjustable provides different levels of thickness. MADE IN GERMANY HIGH QUALITY KITCHENWARE: Westmark's Wire Cheese Slicer is among the best IN the world and is rated to be one of the best KITCHENWARE brands available today. Thickness of slices varies from the angle at which the slicer is held. MATERIAL: Each product is made using a high quality stainless steel wire and roller with a high quality cast aluminum handle. See below for more details. 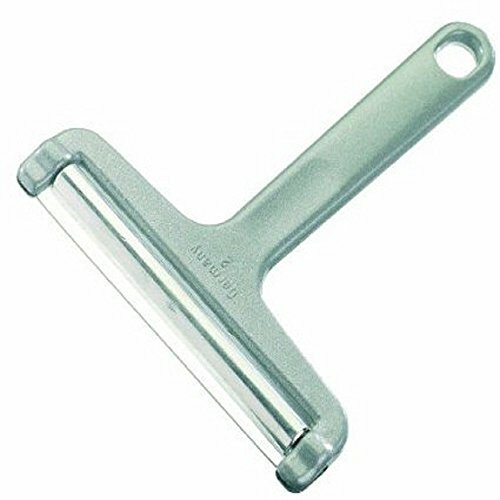 EASY AND READY TO USE: This easy to use product slices not only your soft and hard cheeses, but can adjust the thickness of your slices by modifying the angle at which you hold the product. Equipped with an ergonomic handle, Westmark's product is efficient and comfortable to use. 5 YEAR WARRANTY: Backed with a 5 year warranty, Westmark is completely confident that you will love their product or we will refund your money back, no questions asked! GREAT VALUE - Over 3x Longer than FoodSaver Bags! Just a Few Cents per Vacuum Sealer Bag! 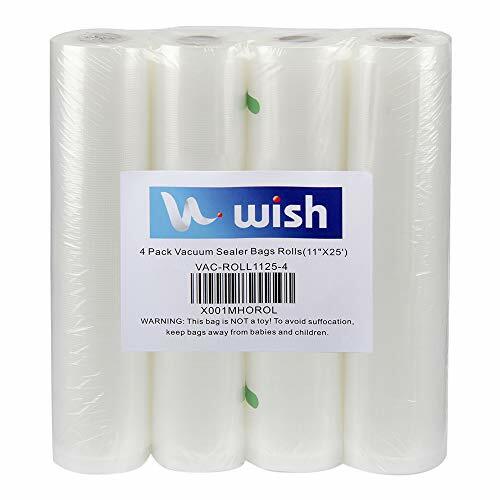 2x Vacuum Sealer Rolls; 8"x50' Bag Rolls. FITS ALL CLAMP STYLE VACUUM SEALER APPLIANCES - But at a fraction of the cost of big brand name food sealer bags. Works with FoodSaver, Seal-a-meal, Nesco, Weston, and others. BPA Free, 4 Mil, DURABLE, FDA APPROVED FACTORY - Designed and developed in Australia for healthy minds, bodies and a healthy lifestyle.